Quality certified personnel are on hand Monday through Saturday to care for your child while you get in a great workout. 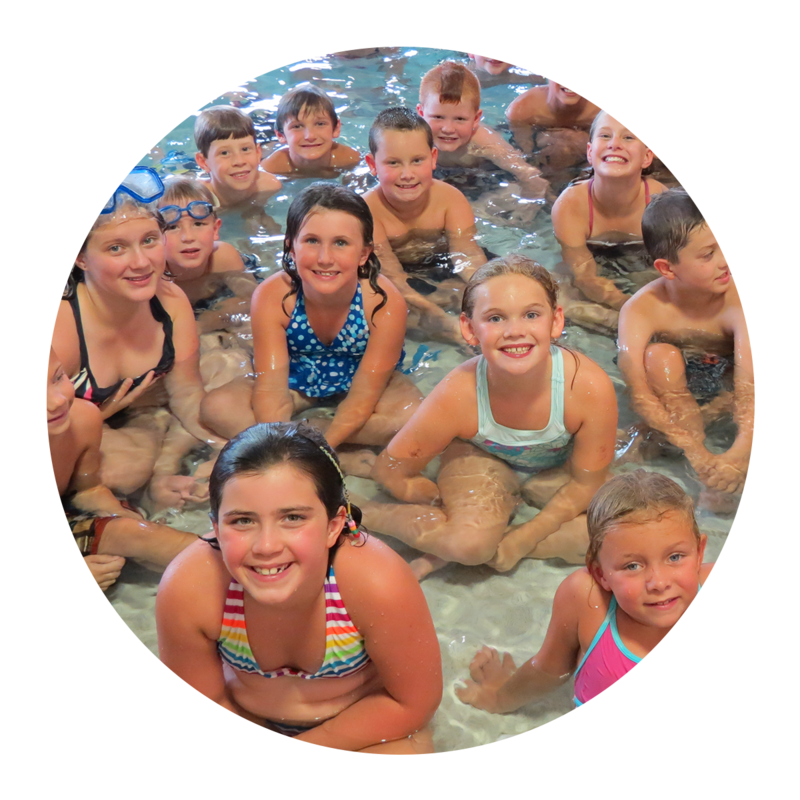 Child care is provided for health club members and league participants while on the premises. It is available for healthy children ages infant to 8 years old and they can stay for up to an hour and a half per visit. 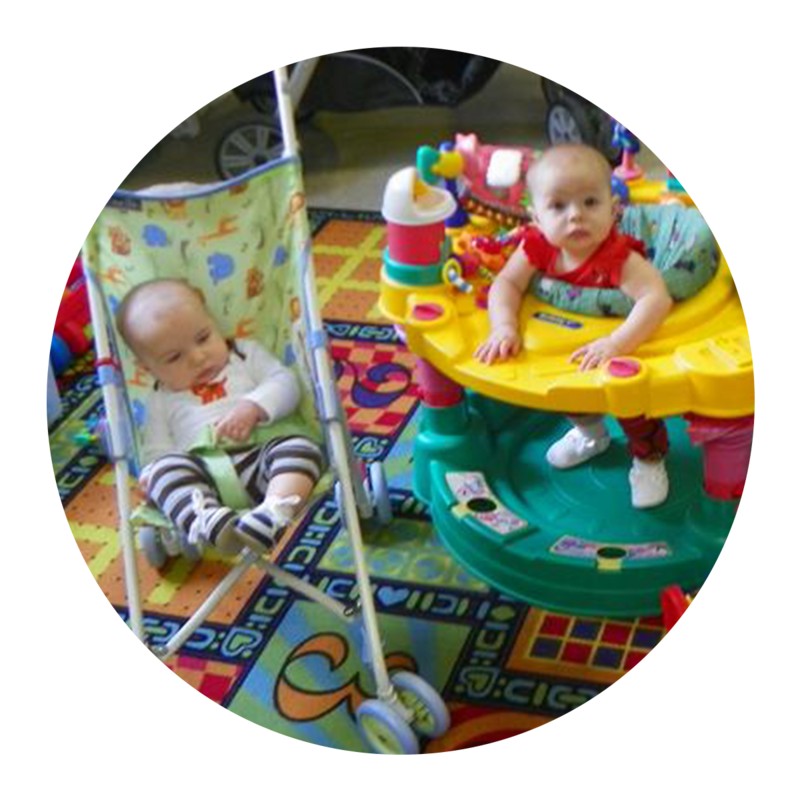 T&C child care is a fun, comfortable place for your children to safely play with other children, color, or watch movies. 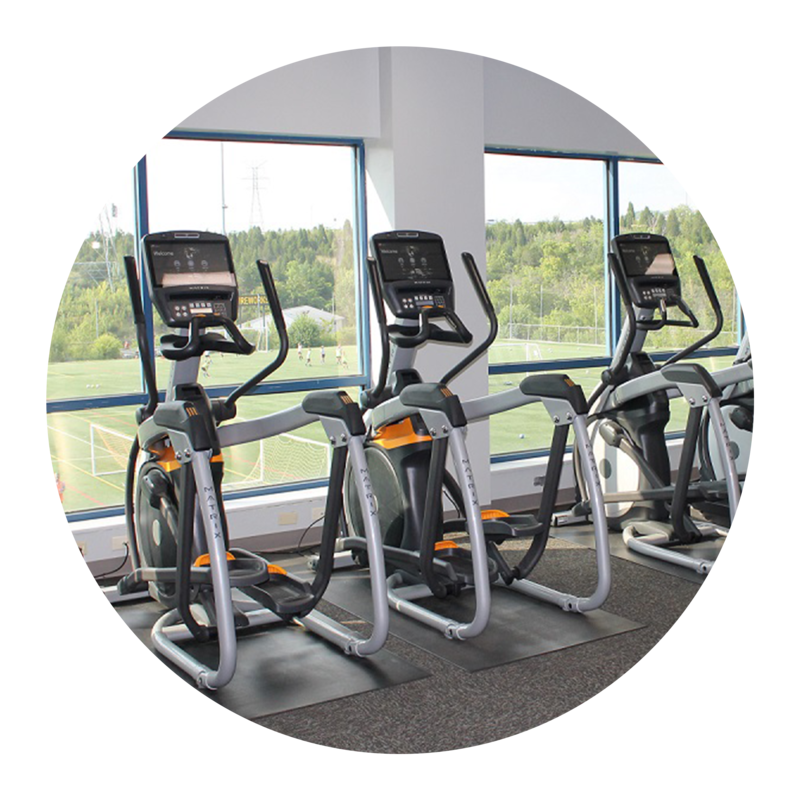 T&C has two cardio equipment areas, a complete weight room, and a circuit training room. The cardio equipment areas offer elliptical machines, treadmills, bikes (recumbent, upright, and arodyne), rowers, NuSteps, Lateral Trainers, and a Climbmill. The weight room offers stretching equipment, FreeMotion weights, a variety of weight machines(Nautilus, Magnum, Cybex, and Paramount), and free weights. Lastly, the circuit training room includes cardio stations between the weight equipment to help keep your heart rate up. One rotation around is approximately 10 minutes. Six personal trainers with a range of different certifications are available to help you achieve the results that you are looking for! T&C trainers understand that each person's needs are different and they want to help you make the change to improve your health that you can live with. 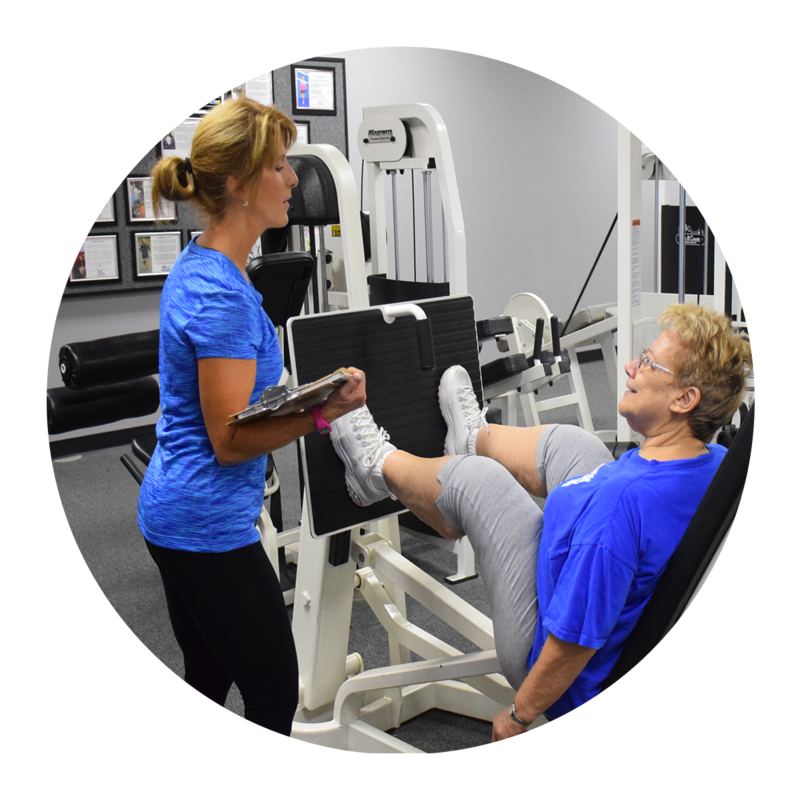 T&C offers an intro to Personal Training package that consists of a health assessment, a customized workout program, injury prevention program, motivation and a health re-assessment to measure progress. The price for members is only $159 for 4 one hour sessions with a personal trainer (this can only be used once). The Aquatics Center at T&C features a warm water pool and a cool water pool. 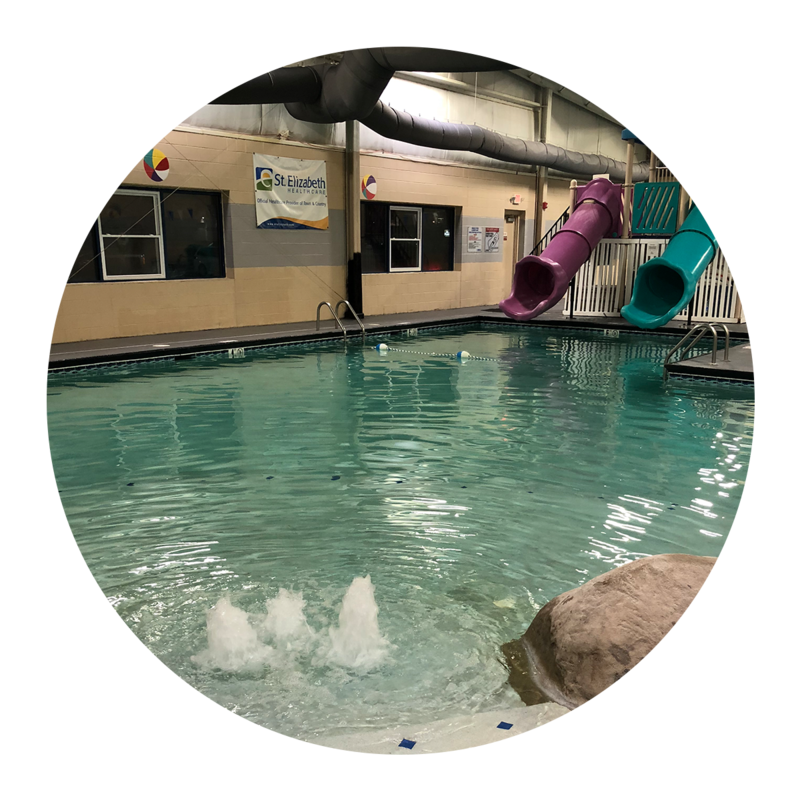 The warm water pool is kept at about 89-90 degrees and is great for recreation swimming or for therapeutic purposes. Two slides are also located in this pool for the kids! The cool water pool is a 3 lane/25 yard pool that is perfect for exercising and lap swimming. This pool is kept at about 83 degrees. Group exercise classes are held in both of these pools. As a family-friendly health club, we pride ourselves on providing fitness activities for the whole family. The kids gym is the area within the club that is dedicated to getting the kids moving. 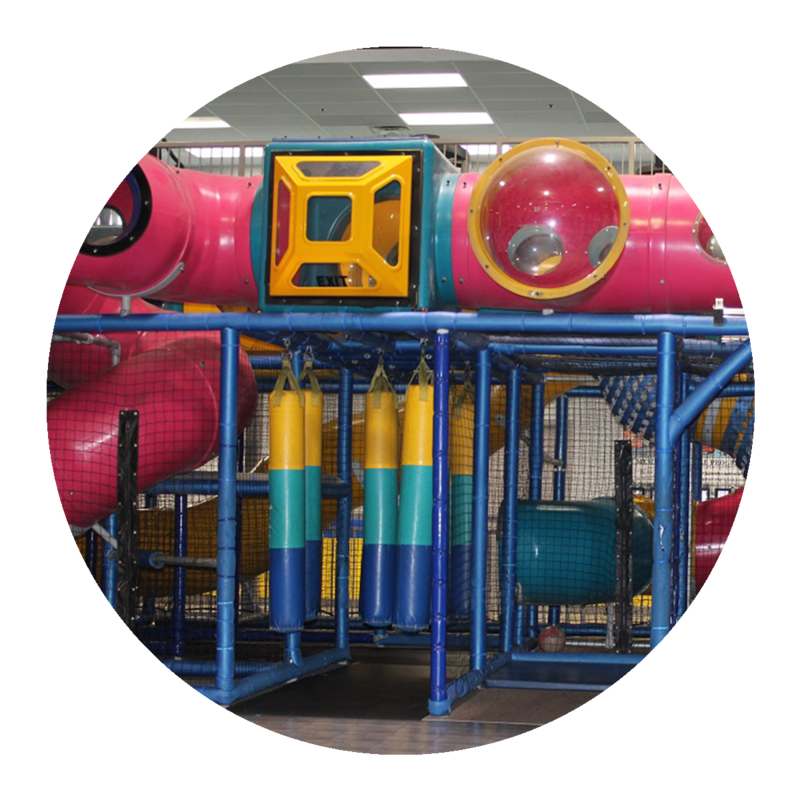 The kids gym consists of 2 Spring Free Trampolines, tubes & tunnels, sportswall, and a small basketball court. Basketballs, soccer balls, and kick balls are located at the front desk for the children to use within this area. 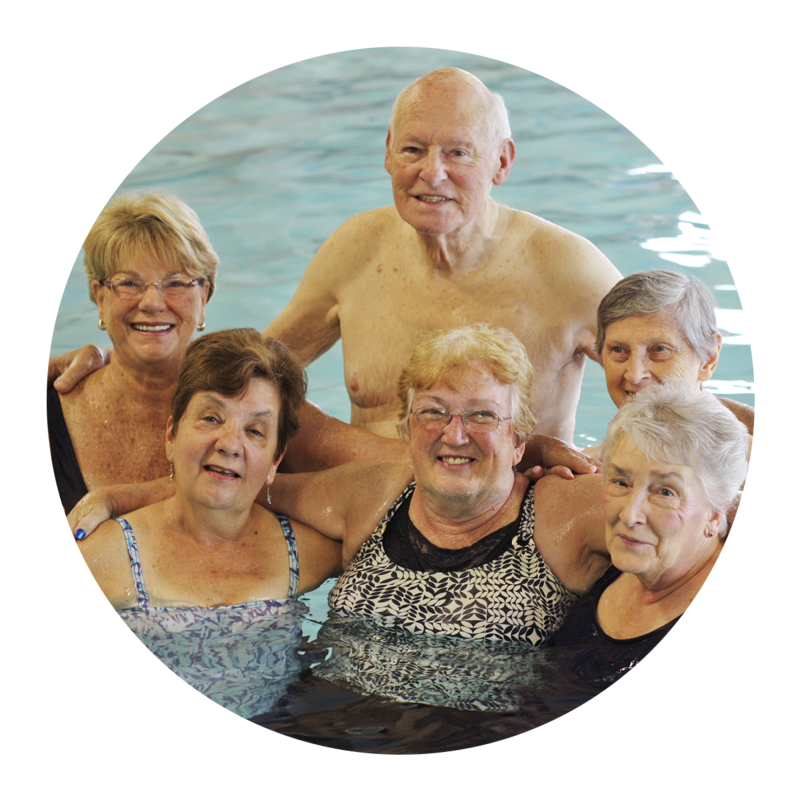 T&C offers classes specific to our senior members: warm water, silversplash, silversneakers, senior fit, and chair yoga. In addition to these classes each year T&C holds 4 events for our senior members. Each event is an hour and 15 minutes and are FREE! Locker rooms are available for all members to use free of charge. 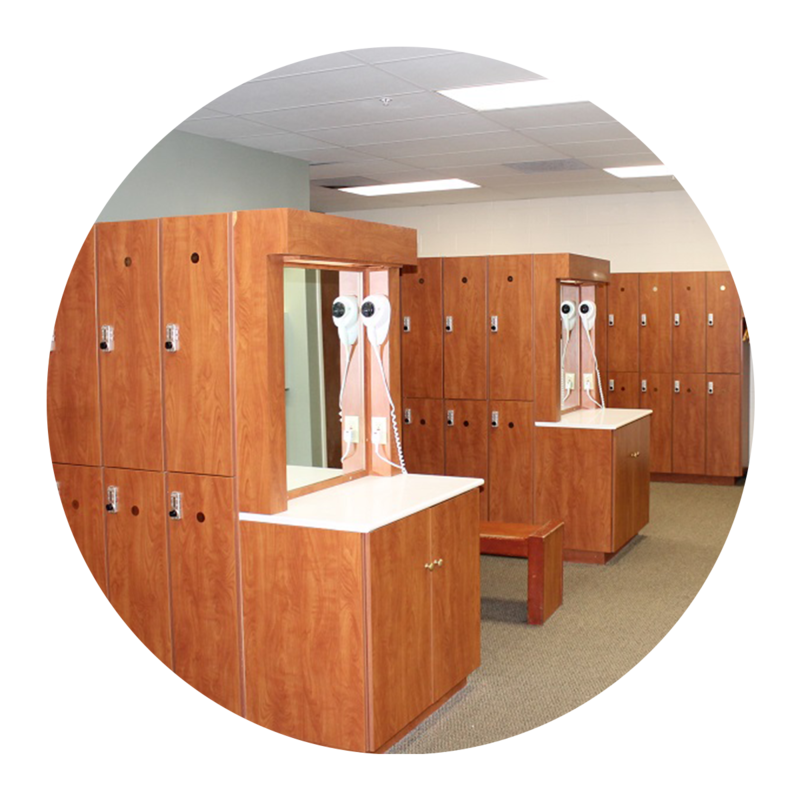 We offer a men's, women's, and a family locker room with dry saunas in the men's & women's. All locker rooms are located down the hall from our Aquatics Center. T&C offers tanning services to both health club members as well as the general public. 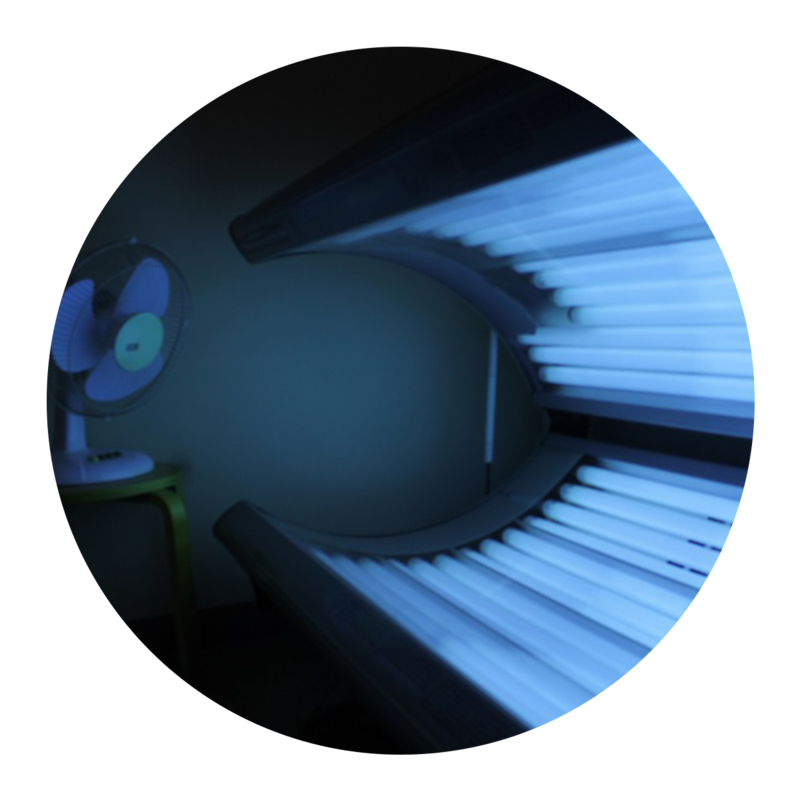 Tanning beds are available during health club hours and go up to 20 minutes. 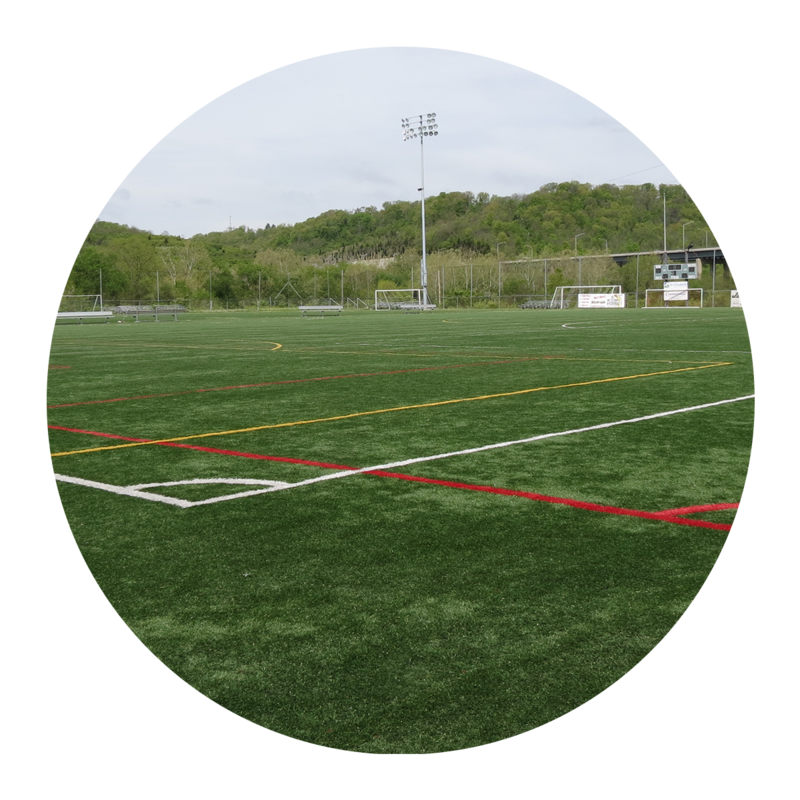 T&C members have access to the entire facility including basketball courts, indoor soccer fields and outdoor soccer fields, unless it is being used for a program. Many members will walk/run around each of these areas instead of the treadmill. Basketballs, soccer balls, and kick balls are available at the front desk for members to use. T&C offers over 200 group exercise classes a month, FREE to all members. Working out in a group setting allows people to be in an atmosphere that allows them to receive motivation from the instructor/friends, and most importantly to have fun while breaking a sweat! We are always adding new classes and we encourage everyone to try each class at their own pace. CLICK HERE to view our current group exercise schedule.